We are just thrilled to have been awarded the prestigious Structural Timber Award for ‘Product Innovation’ for our Chippenham bungalow transformation.These prestigious awards with 94 companies shortlisted look to shine a spotlight on industry players that are taking the industry by storm and creating truly unique systems and delivering highly creative projects. That feeling when you win is just wonderful and one that is rippling throughout the business, as the entire team feel a great sense of achievement to have won this accolade. 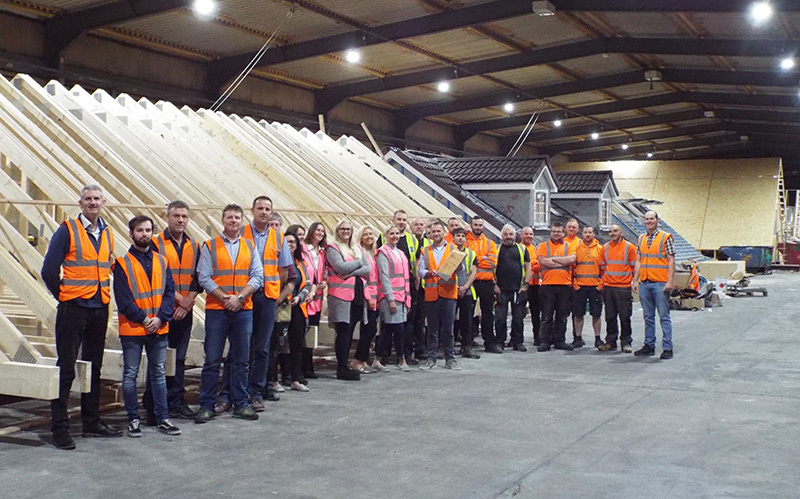 Our unique solution to create bespoke factory built modular loft space and the process in which we deliver and lift onto the properties we transform is innovative. 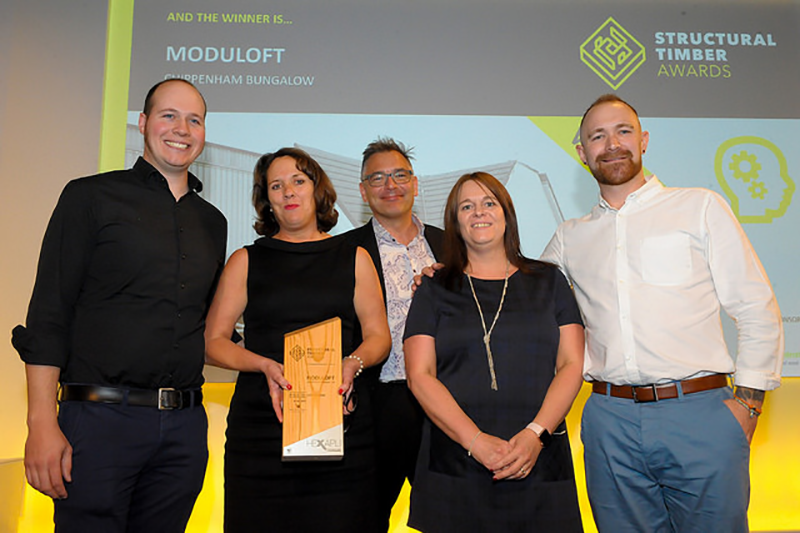 On the night we were competing against 10 other great businesses for ‘Innovation’ and so for Moduloft to win is just fantastic. The Moduloft concept was created and invented by Tim Benson in 2011, his innovation and vision was to offer a unique solution to property owners looking to create more space in the home with little disruption, by building loft space in the factory and be onsite to install in weeks. Chippenham bungalow, this property was transformed in just 9 weeks to gain additional living space. A true demonstration of how Moduloft can design, build, deliver and install. Bringing the award back to the factory and sharing with the team was such a wonderful moment, driving forward our unique approach is key to the entire team. Every area of the business is vital in our focus to offer the best possible solution for our customers. Every project we develop is bespoke and our fully managed service means our customers benefit from our expert team every step of the way. Offering customers speed and convenience that is backed up by our approach and ability to deliver is another reasons we are being recognised as the leading provider of modular lofts.